tool that makes it easy to build a website! PageBreeze is an award-winning HTML Editor with has both visual (WYSIWYG) and HTML tag/source modes that makes it a snap to build a website. 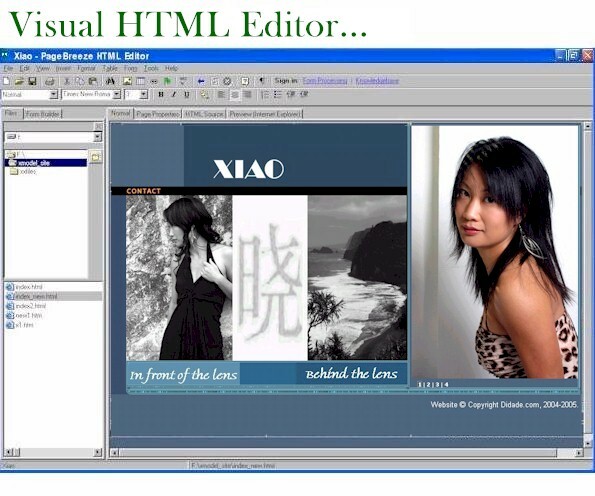 PageBreeze Free HTML Editor's design emphasizes simplicity and ease-of-use. You'll find that you'll be building a great website almost instantly--with virtually no learning curve! PageBreeze Free HTML Editor is a completely free download for personal use and will never expire. Get your free copy now (approx. 5 MB), and build your website today! A full-featured but easy to use visual (WYSIWYG) HTML editor for building web pages. Build a Website Today - Download PageBreeze Now!